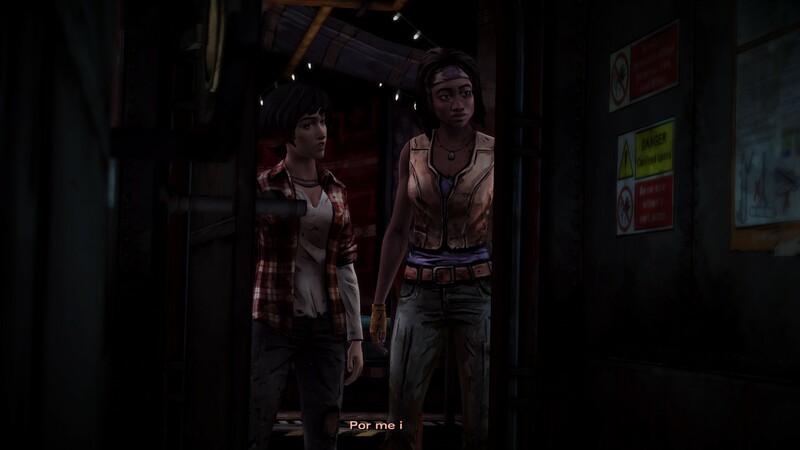 Michonne’s foray in Telltale’s The Walking Dead games felt like it had a rocky start in episode one. Given their experience with working with established characters in their previous series, like Game of Thrones and Back to the Future, it would seem that they’d nail making such a fan favorite character like Michonne into very compelling protagonist. For better or for worse, Give No Shelter is as much of an action packed ride as the previous installment. Its running time is also around an hour and change, which for Telltale standards is relatively short. Still, considering the amount of actual story it manages to pack, it’s surprising that these episodes are coming out as quickly as they’ve been hitting the marketplace. At the closing of episode one, Michonne and co were in a pickle, smack dab in the middle of a botched escape attempt from the clutches of a not so nice group of the living after she ran into some thieving siblings. Things didn’t go too well, and after a sturdy talk to with the community’s head honcho, things went by the wayside – and no thanks to Michonne. But what would The Walking Dead be without conflict? Safe to say, there’s a few interesting scuffles during the short time you’ll be playing episode two, which help show the flexibility of Telltale’s engine and also its many limitations. While not nearly as stuttery as previous Telltale products, The Walking Dead: Michonne is far from being a smooth running game. On the other hand, the action pieces that they manage to spurt out are very well directed and help sell the gritty nature of Robert Kirkman’s fiction. If you somehow have stumbled into this review without any prior knowledge of how these games play, a quick refresher. You have limited direct control over the protagonist’s movement, much less of what they carry, much differently from the common adventure game. 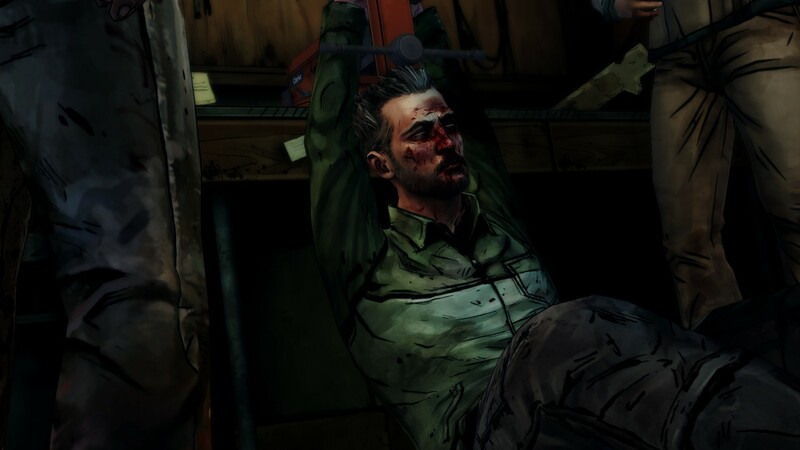 The big deal in Telltale’s games are that decisions reflect how the story is carried along, so at key points in their episodes, you’re faced a crossroad that is usually split in two ways. TWD: Michonne‘s been doing these with a certain amount of success so far, and considering the next episode is the closer for this miniseries, hopefully they’ll pay off. Give No Shelter certainly has its moments. Once again, we spend a little bit of time diving into Michonne’s troubled past and traumas, but thankfully these segments don’t overstay their welcome. We all get that she’s a damaged character through and through. Even though this episode hits a lot of clichés, it works. As for the setup for the finale, there’s not a whole lot to expect of a difference in how it happens regardless of your final choice. Keeping with tradition, crap is surely to fly at the fan. There’s a lot sitting in The Walking Dead: Michonne‘s final episode. This is Telltale’s real first attempt at a shorter season and a set release schedule. So far, it’s been relatively minor in the grand scheme of The Walking Dead’s fiction, but given a strong closing act, the entirety of this three act story might work out as a decent companion for Telltale’s previous (and mostly excellent) work with the franchise. We’ll know soon enough.